10" Overall with a 6" sharprned, double edged stainless blade. 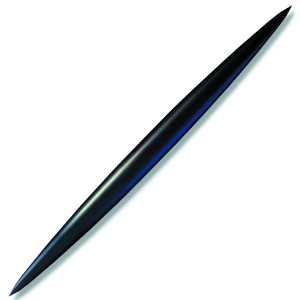 Full tang with rubber handle. 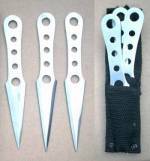 Set of 3 heavy knives, ideal for long distance throwing.